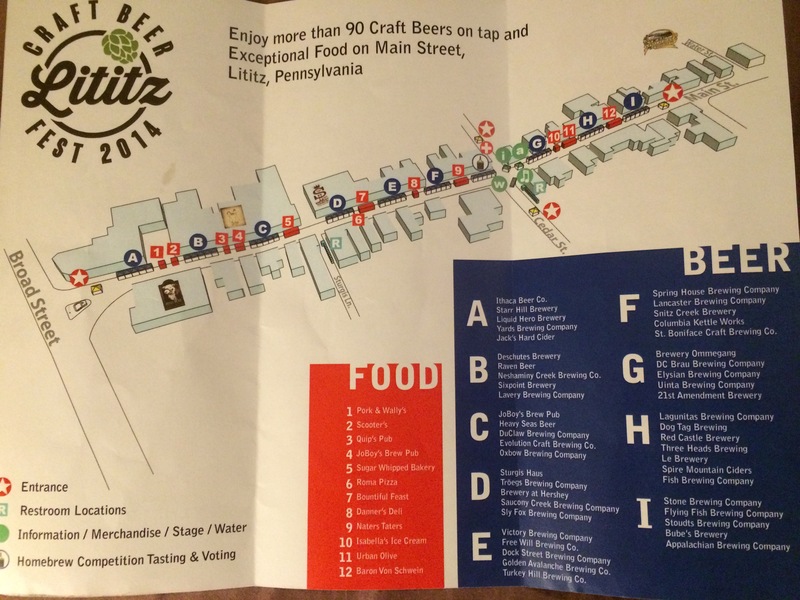 You may have heard of Lititz because of its coolest small town in America designation, earned in 2013 for its long running 4th of July celebration (197th annual), the oldest commercial pretzel bakery and the Wilbur chocolate factory among other things. I heard of it because I grew up here. I traveled and lived all over Pennsylvania, but found my way back. I came to learn that the safe, boring small town of my youth was actually a charming place boasting an excellent BBQ and brewery in JoBoys, another brewery just blocks away in Appalachian and one of the top bars in the northeast in the Bulls Head Pub. 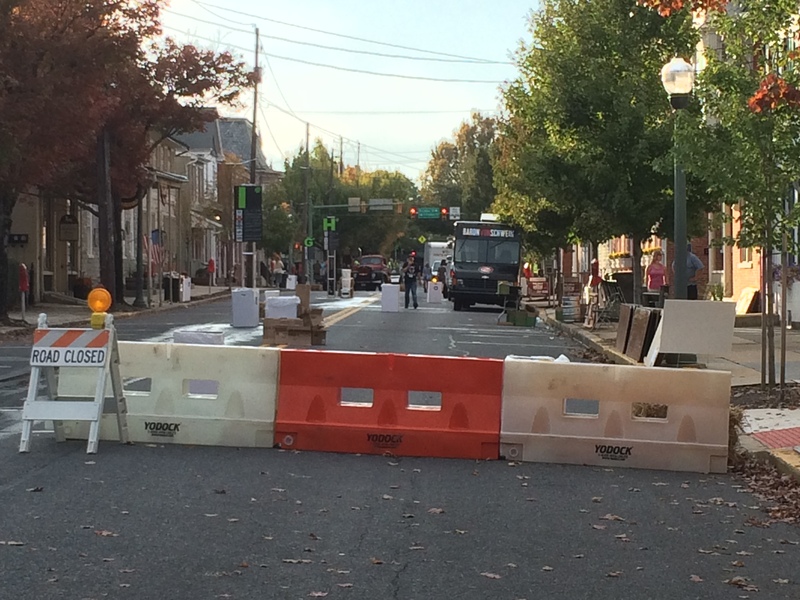 Lititz has evolved into a city that celebrates the rustic and artisanal; a beer friendly town that appreciates craft beer as well as the people that brew, drink and serve it. 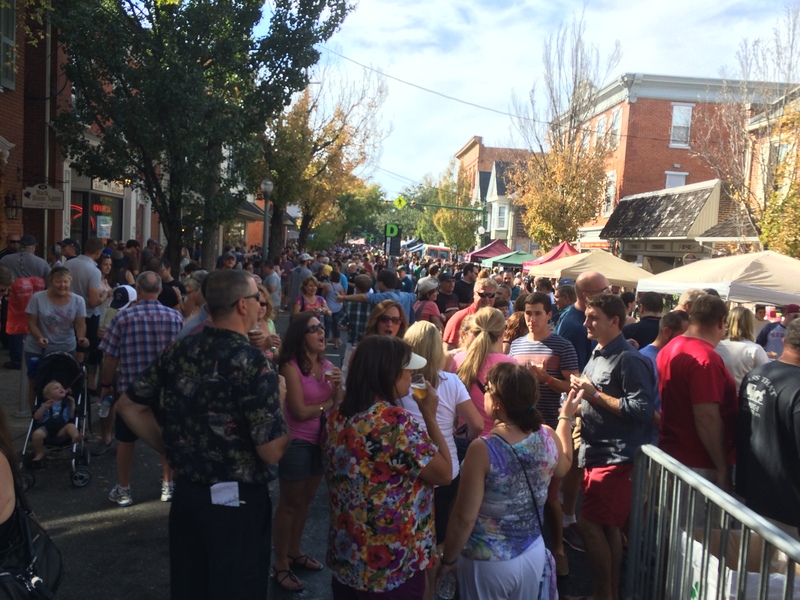 Craft beer appreciators can now add another reason to toast this little town as Main Street became the backdrop for the first annual Lititz Craft Beer Fest. 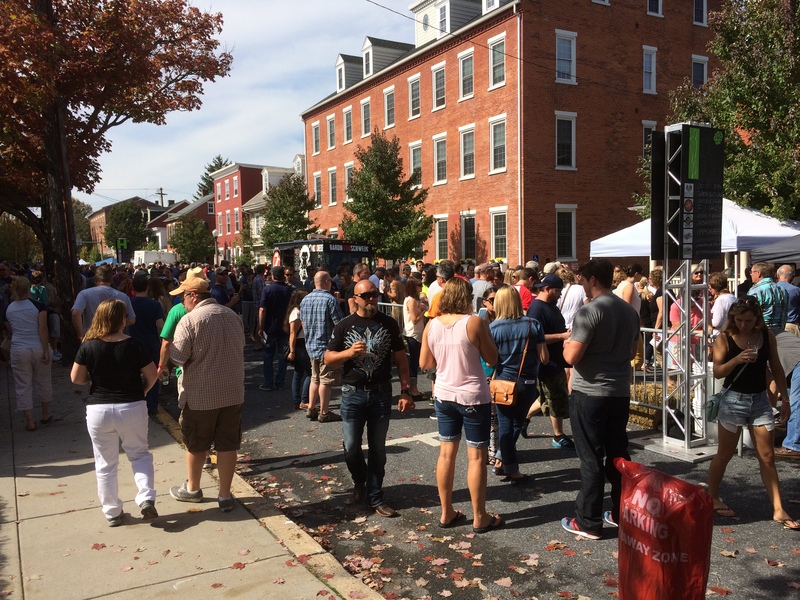 Thanks to the efforts of a dedicated staff of volunteers in association with Lititz AMBUCs, an organization that helps people with disabilities, and WCAA, the Warwick Community Ambulance Association, Lititz hosted the first of what will hopefully be an annual craft beer fest. 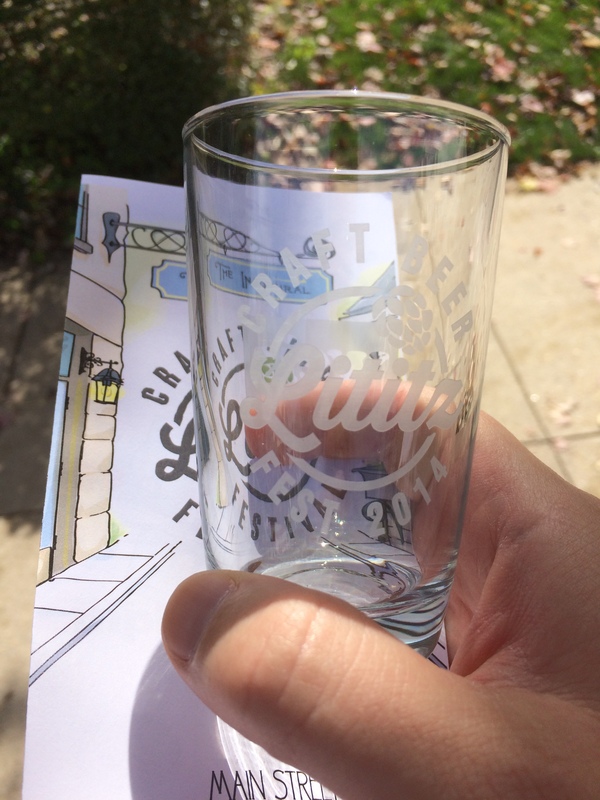 For those that don’t know, and I have gotten this question before, a beer fest consists of a series of brewers doling out a sample of their wares into a commemorative tasting glass, 2-3oz at a time. 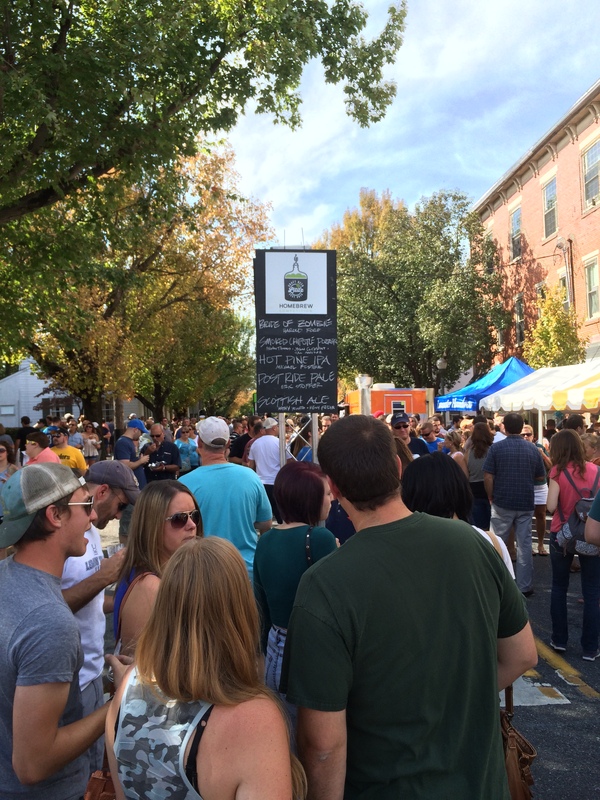 A beer fest patron pays an initial fee and tries beer for free over several hours. In this case, food trucks were provided and patrons had access to the local eateries, but food was not included in the ticket price. 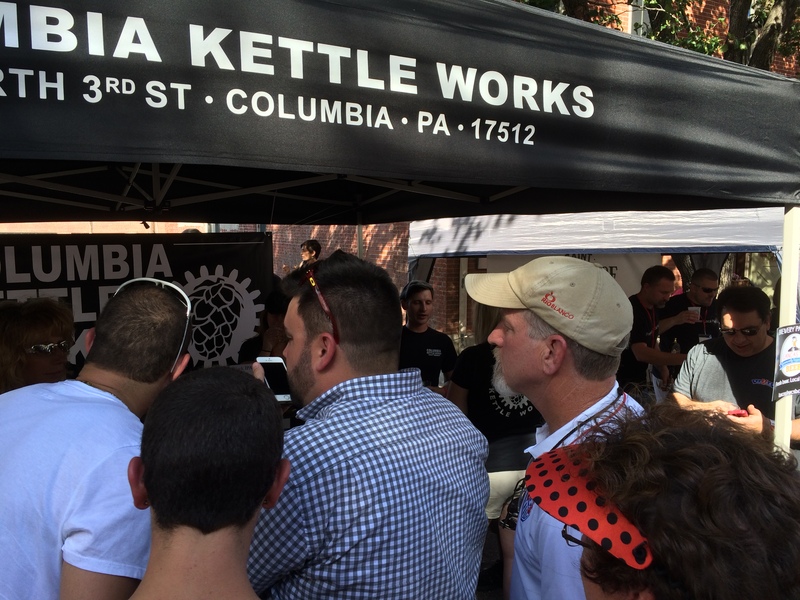 In addition to the regional and national brewers, LCBF included a homebrew competition voted on by the public. As is apparent from the map, LCBF had brewers line one side of the street, extending for several blocks in single file. There were no barricades preventing anyone from wandering into the festival, but only people with wristbands were served. The setup was mostly successful with just a few drawbacks that didn’t really mar the three hour event. Pro Tip: I arrived right at 2pm and found plenty of parking in the Farmer’s Market lot next to the Appalachian brewery and only had to walk a block to the gate. Just store that helpful nugget in your brain for the next 12 months and thank me never. 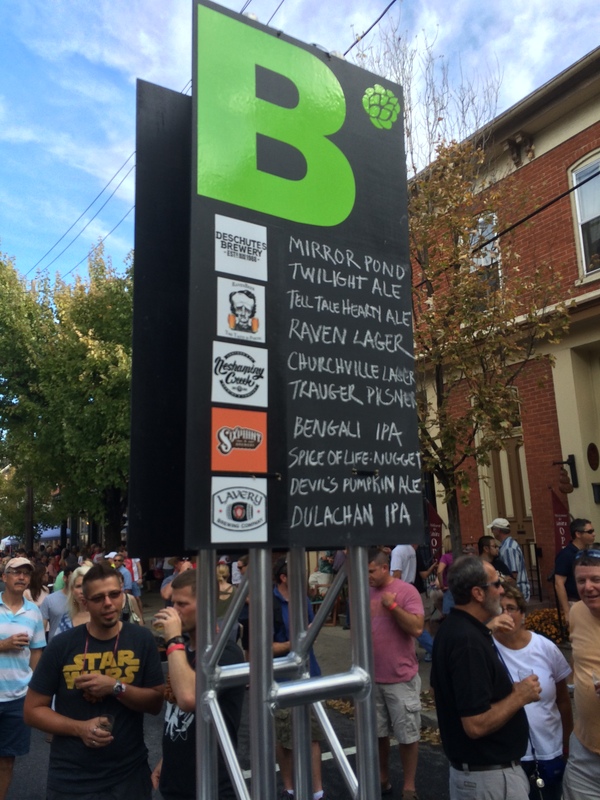 In some ways, a beer fest is only as good as your biggest draw. You have to have a solid mix of local brewing talent and major players from the national scene to create a truly unique drinking experience, which was certainly the case here. The brewing empire that is Stone made an appearance with their popular Go To IPA, an easy drinking session beer, and the more eclectic Stochasticity project beer, Quadrotricale (say any of that 3 times fast or at all), as did Deschutes, Victory, Lagunitas, Uinta, 21st Amendment, Brewery Ommegang, and DC Brau among others. 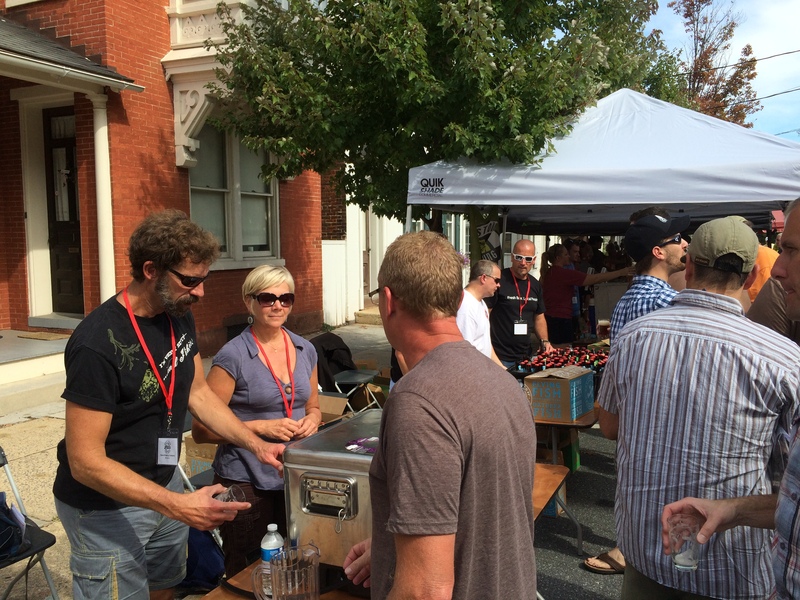 The localish brewers like Liquid Hero, DuClaw, Heavy Seas, Lancaster Brewing Co., Spring House, Sly Fox, Neshimany, and Snitz Creek were there in force, bringing some delightful favorites and riskier beers. Appalachian was stoked enough to brew a special beer just for the fest, a peanut butter and chocolate stout, and 3 Heads Brewing featured a smoked maple porter that made a nice impression. Also of special note are two breweries that are relatively new to the area, Dog Tag Brewing, with connections to military veterans out of Montana, and Oxbow Brewing Company out of Maine. Both of Dog Tag’s offerings had a muscular malt body that strong-armed the hops, while Oxbow brought two grain heavy Saisons, similar in flavor and body to Allagash beers. Although Dog Tag has started to pop up at some local bars, this is the first time Oxbow have been available in Lancaster and the surrounding counties, an impressive addition to a first year beer fest and a good sign of things to come. Delicious, bold, not always weather appropriate homebrew was a highlight of the festival with unique beers and enthusiastic competitors. The 10 available homebrews went through a jury process, besting over a 100 other entries for the honor of public consumption and voting. As a novice homebrewer, I appreciated the experimentation and ingenuity that went into creating these drinkable labors of love. Personally, I split my voting ticket between Hot Pine IPA, a pepper IPA that allowed the hop to shine through and the assertive but not too intense spicy pepper bite to hit the back of the throat on the finish, and Italian Breakfast, a hazelnut coffee stout with a creamy body and mouth feel that wasn’t too heavy. Both would have fared better in more temperate weather, but the craftsmanship was apparent in all the entries. Judges Choice – Chipotle Porter (Jason Clement, Will Meiser, and Brian Thomas) – will be brewed and offered on tap by St. Boniface at their Ephrata taproom. 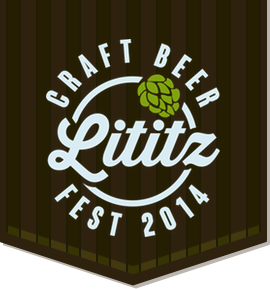 People’s Choice – Scottish Ale (Kelly Fedin and Kathy Yellets) – will be brewed and offered on tap by JoBoy’s at the Lititz Brewpub. 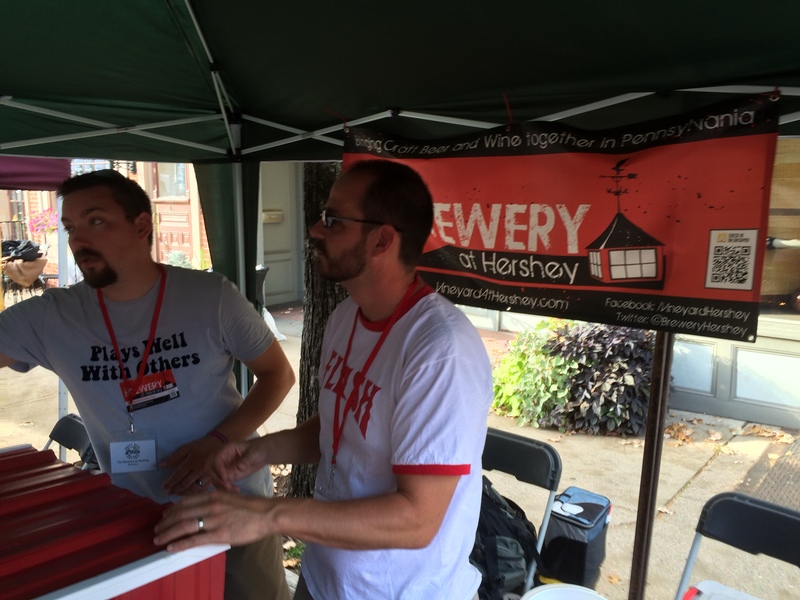 Third Place – Smashed Wolf (Allen Arslanian) – gets a conical fermenter. It was clear during and after the LCBF that it was a thoughtfully considered, well-run event that got a helping hand from the thousands of well-behaved patrons in attendance (kudos us!). It went better than most other first year, or second year from what I’ve heard, beer events that I’ve attended. Bathrooms and camaraderie were as plentiful as the beer. For as positive as the experience was, there were a few areas for improvement, namely the sheer volume of people and the lack of clear line structure. The amount of people in attendance was a bit much and by extension too crowded. That said, I don’t believe the event was over sold. While 2000 ticket holders in just a few blocks is a lot, the waiting in line wasn’t excessive, around two and a half minutes on average. When moving through the crowd is when it got a little tricky. I think this is attributable to the fact that anyone could walk through the event (you did need a red wrist band to be served) and designated drivers went unchecked. The 2000 people swelled closer to 3000 if not more. That’s a lot of people taking up space that aren’t drinking, which could also lead to beer sharing with people that haven’t been properly ID’d. That said, I would hate to see the beer fest patrons penned in and unable to easily access the other establishments in town. A real catch-22 I guess. Crowd can be managed for future fests, which may also help the line situation. While there were lettered signs giving you a general idea of brewer location, a very nice touch, each booth lacked an identifying sign high enough for people in line to read. The lines stretching from one side of the street to the other and curving against the buildings like a floppy piece of Wonder Bread made it difficult to know what line you were standing in. There was also a matter of people lining up from the left and the right sides, making it hard to tell where to stand. Regardless, if the two biggest complaints for a first year beer fest are too many people wanting to attend and some line confusion, the coordinators did a pretty great job. I’m sure most of the over 2,000 people in attendance would agree with me and raise their commemorative LCBF tasting glasses in a toast to them. While I enjoyed all the beers I had, the ones below made the biggest impression on me. The end of a beer fest or the beginning of 28 Days Later, you decide. 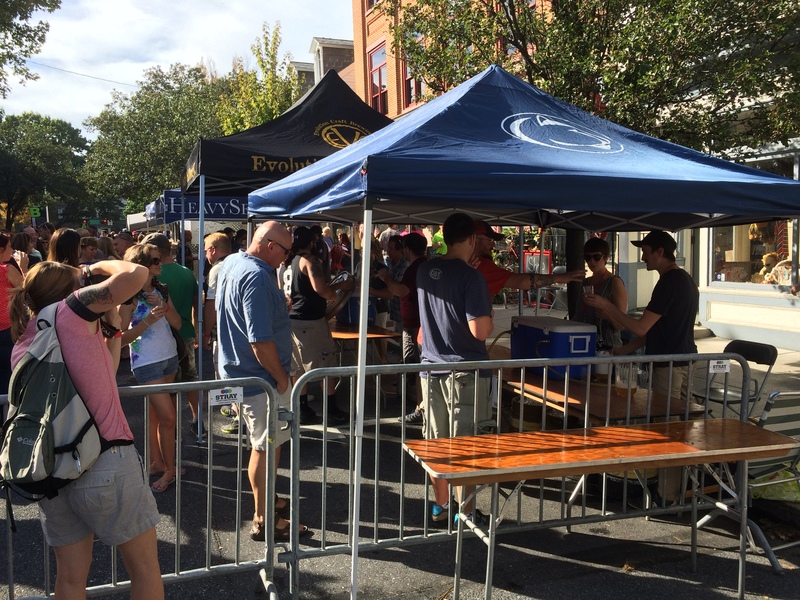 There are a growing number of beer fests out there attended by the same local and national breweries, making it increasingly difficult for a beer fest to shine. 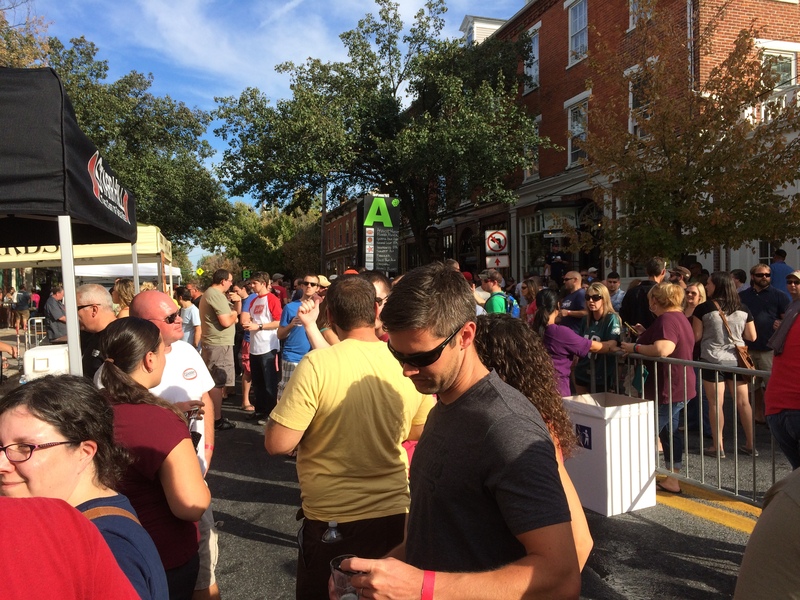 While the LCBF event nailed the beers, especially by bringing in new to Lancaster brewers like Dog Tag and Oxbow, it also had the benefit of the beer friendly town surrounding it, making downtown Lititz a part of the festivities. The new year has seen a new small town crowned coolest in America, Berlin MD if you were wondering, but the pride of that 2013 accolade still resonates here. 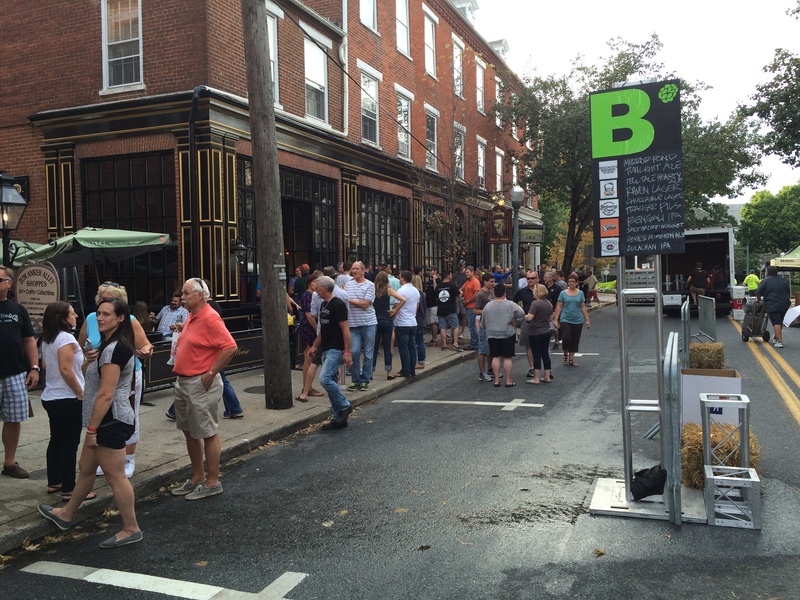 Lititz and its citizens haven’t rested on past laurels, continuing to show why this town was and still should be nationally recognized, and doing so in one of the best ways possible, beer. Cheers to next year!